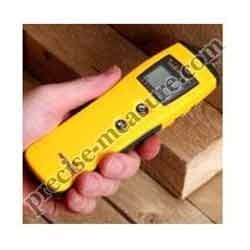 The Protimeter Timbermaster is a simple to use wood moisture meter specifically designed for the timber industry. It is ideal for a range of quality control applications associated with the production, trading and use of wood products. This compact instrument has eight calibration scales, enabling the user to take accurate moisture measurements in 150 wood species. When necessary, it can be used with a temperature probe that automatically corrects the measured moisture level with respect to the temperature of the wood being tested.